This year, make us creative ideas to create extraordinary gifts in extra-special packaging. 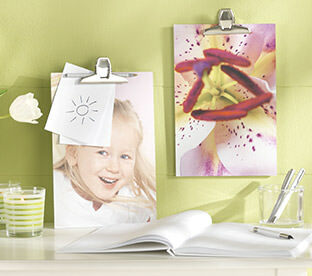 Here, you can discover ideas for making your gifts that bit more personal. 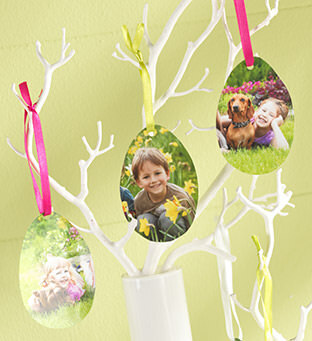 With Easter pendants you create yourself from photo prints, you can bring the spirit of spring into your home or office. 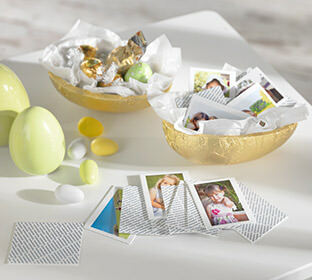 Pixum photo book with Easter cooking recipes. Is there anything better than inviting the whole family or all friends over for Easter spring or breakfast? 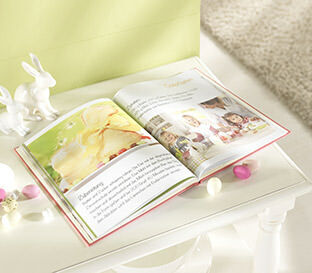 Create a photo book with your best breakfast recipes and decoration ideas. From Easter bunny chocolate buns to fresh out the oven Easter roast. 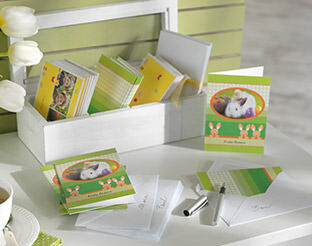 Want to surprise those closest to you with an individual greeting this coming Easter holiday? 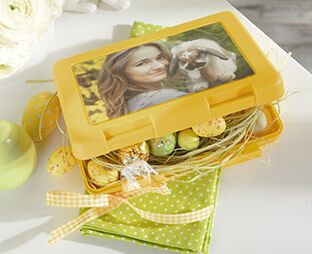 Decorate a Pixum lunch box with a bit of dried grass and a colourful chocolate eggs - perfect as a gift box for Easter Eggs. Your little ones will love it! 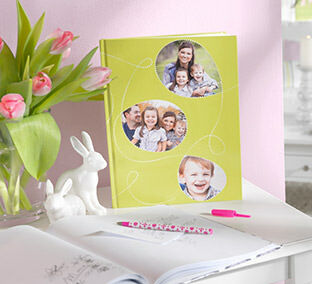 Surprise your friends and family with 25 off your most beautiful pictures. Easter is a time for family get-togethers. 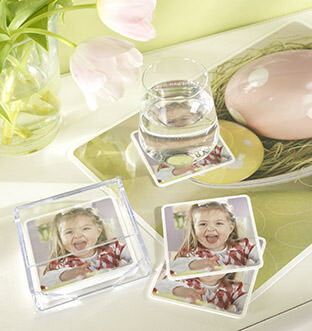 Created with photos of members of the family and friends you have invited, a set of coasters for your dinner table, so that everyone knows exactly where their place is! Adds a special note to your dining table, making your Easter Sunday dinner one to remember, with your own personalised decoration. Also a great gift for every attendee to take with them. This photo note book gives your little ones the chance to draw whatever they want and unleash the power of their imaginations.